The Train of Thought: Blame Rahm? As reported yesterday by own comments section, Sarah Palin and progressives are apparently in agreement that Rahm Emanuel needs to go. Whenever this comes up, I'm always "Meh." I said this last week, I think President Obama knows exactly what Rahm Emmanuel is all about. If Rahm is out there freelancing, then Obama is doing a poor job managing him. 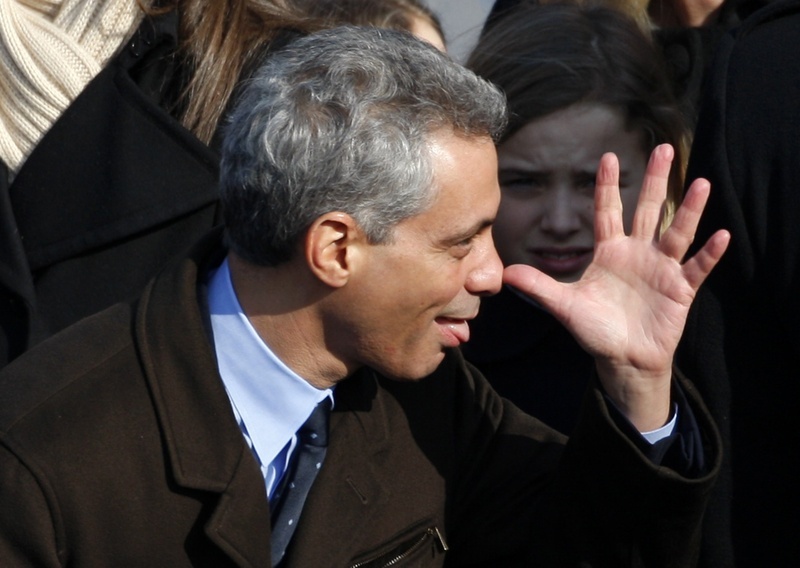 If Rahm is speaking the truth that liberals should save their powder for Obama. I may be getting this wrong, but I think we go after Rahm because, given all his bluster and lust for hippie-punching, he makes for a more inviting target. I guess. I just don't think he does much without his boss's approval. Blaming Rahm over Obama makes sense for a few other reasons too. It makes sense from a tactical standpoint to not blame Obama since he's is still popular in the polls. While he's done his fair share of sucking during his first year in office, in a meeting a few weeks back someone once described presidential poll numbers like turning around a tanker. He'll remain popular for some time, until voters believe he's really gotten a chance to get what he wants, and as long as he remains popular, it's not smart to use him as a target. While that reason makes sense, I feel like a good bit of the "blame Rahm" talk is simply people who continue to think Obama is far more liberal than he is/was/always has been and are more comfortable deluding themselves that Rahm has "gone rogue" or is part of some absurd good cop bad cop game. If Obama didn't like what he was gonna do, he wouldn't have hired him. If Rahm was advocating conservative policies that Obama didn't support, he would have fired him. Freelancing is just not how Chief of Staffs work. So blame Rahm, because he's incompetent, a loathsome human being and one of the best conservative organizers in the last 20 years. Just don't kid yourself into thinking that the policies he's advocating are anything different than what Obama wants.